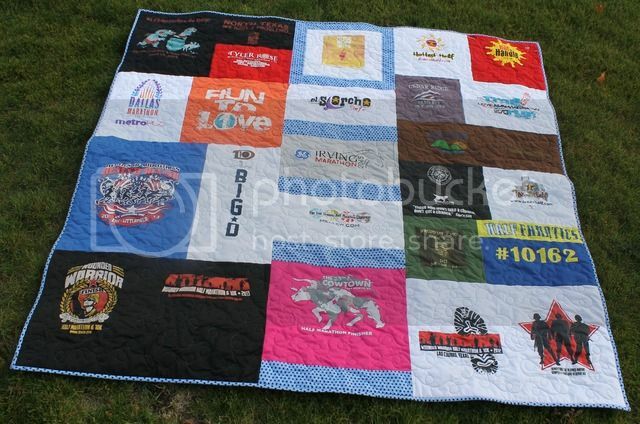 Cassie's T-Shirt Quilt - Finished! 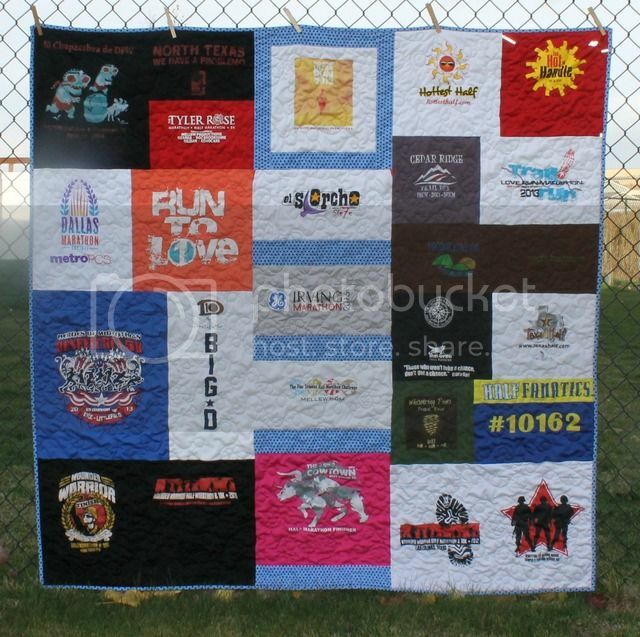 Woohoo, another finished t-shirt quilt off to its new owner! Old owner, I guess - since they are her shirts, just in a different form. Anyway, semantics. Another Texas one done puzzle style. 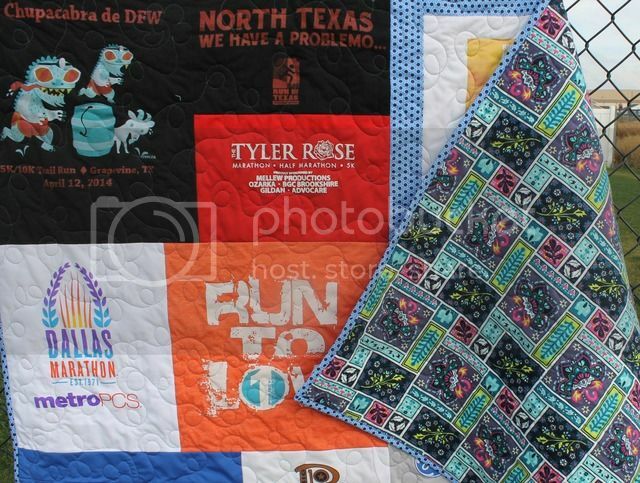 I'd normally compare with previous quilts to see who raced with each other, but she's in a running group with Denise. So, suffice to say, some shirt repeats here! 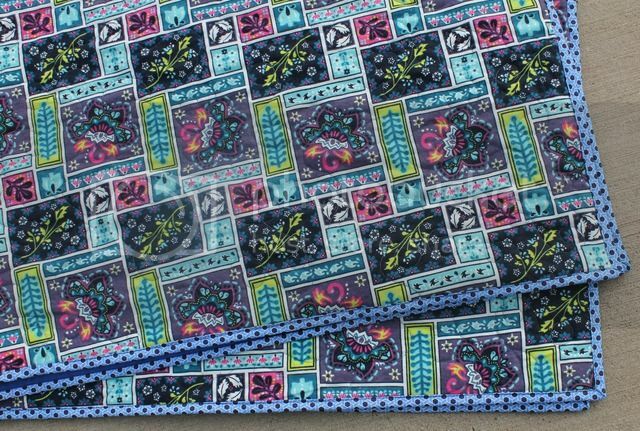 The framing and binding fabric is the new Buttercream from Joann's, and it's got a wonderful feel to it. Plus it comes in great blender patterns! I used a couple of backs, like this one, because of the great sayings on them. Gotta love trail runners! The quilting is all-over loops and flowers - one of my favorites. 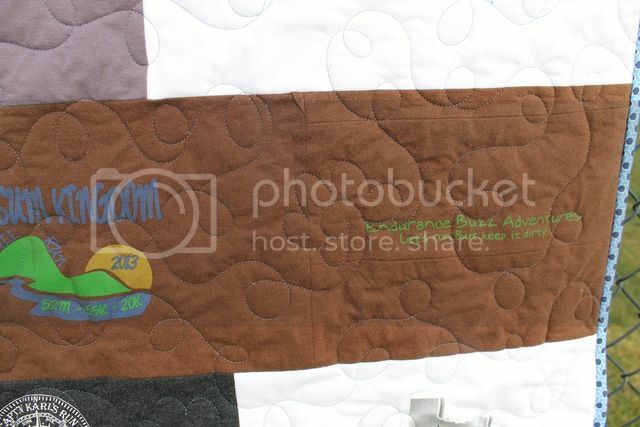 The backing is also Joann's, and super cheerful. My customers have great taste in backings.